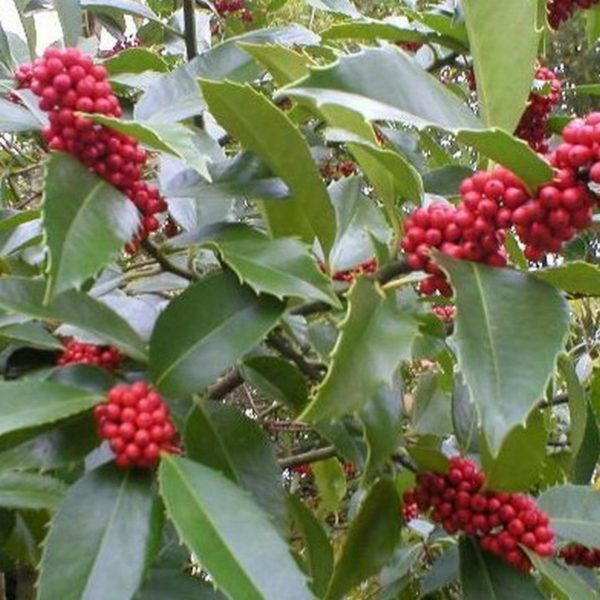 Ilex castaneifolia is a superb, vigorous growing, female Holly often called the chestnut leaved holly. It has large and thick green leaves which are marginally spiky at the edges, resembling the foliage of the sweet chestnut. The bright red berries appear in small clusters and are produced in abundance in the autumn time following a delicate of flowers in the spring. 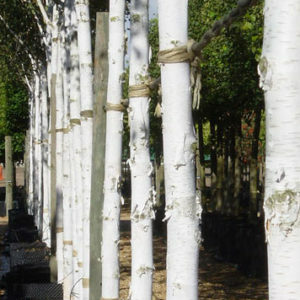 Like many other Hollies, this tree is tolerant of shade and will thrive on most soils, providing they are well drained.